Delightful hotel just a few minutes from the centre of Sorrento. 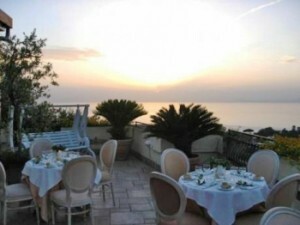 The venue is situated between the coast and the hills and has a wonderful view over the bay and the Vesuvius. The terrace or the indoor salon is available for symbolic weddings and wedding receptions.